We strongly believe that DevOps requires a shift in culture and mindset with an impact on your people, processes and technology. DevOps starts with team effort and therefore the best way to step into it is by experiencing it. The simulation game “The Phoenix project” has been developed by our partner GamingWorks and it is based on the novel “The Phoenix Project” by Gene Kim, a well-recognized DevOps knowledge source. The game has been designed to translate theory into practice and allow the participants to experiment and draw conclusions on adopting DevOps practices. During the game, participants experience the need to work together closely in order to ensure the success of the IT enabled business transformation. In cooperation with GamingWorks, Xebia is proud to add this simulation game to her DevOps Consulting services. With four recently certified trainers, we are looking forward to share this experience with our clients. The simulation game consists of a one-day workshop for a group of 10-12 participants and can be facilitated at your premise. 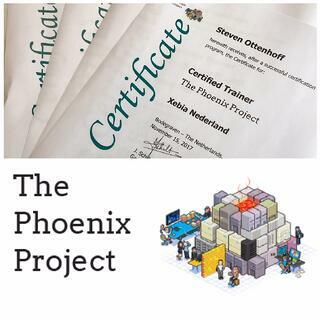 If you would like to receive more information about Xebia and “The Phoenix Project” simulation game, please feel free to contact Martin van Steenis.